Voters in more than a dozen U.S. states will head to the polls on Super Tuesday. While much of the spotlight will be on the Democratic and Republican nomination hopefuls, one major American media outlet will be far away from most of the action, reporting from Cape Breton, N.S. A crew from CNN is set to visit and profile the island on Tuesday, in response to a tongue-in-cheek website that is inviting Americans to take refuge in Cape Breton should Republican Donald Trump win his party’s candidacy and be elected to the White House. Rob Calabrese launched the website "Cape Breton if Donald Trump Wins" earlier this month. He told CTV News last week that he's already had 600,000 unique visitors. Mary Tulle, CEO of Destination Cape Breton, has been working with CNN to help organize the broadcast. "This is real in the sense that Cape Breton Island has piqued the interest of hundreds of thousands of people," Tulle told CTV Atlantic. 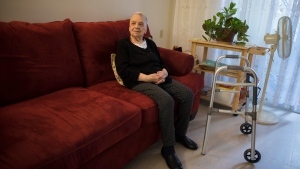 In particular, Tulle said the American network wants to profile the island's people. "They really want to get a sense of the locals: who are we as a people and what is it that our lifestyle is all about," she said. Tulle said the CNN crew plans to take in the island's scenery and landmarks such as the 18th-century French Fortress of Louisbourg and the Skyline Trail. Cape Breton is also experiencing unseasonably warm temperatures, making it feel and look more like spring. For Calabrese, the presence of one of the world's biggest broadcasters is another surreal moment since he's launched the website. And he's hopeful the showcase will open the eyes of many Americans to the charms of Cape Breton. "Many people in the United States have never heard of us, but when they look and see what it's like here a lot of people would think, 'Do you know what? That lifestyle might be for me." 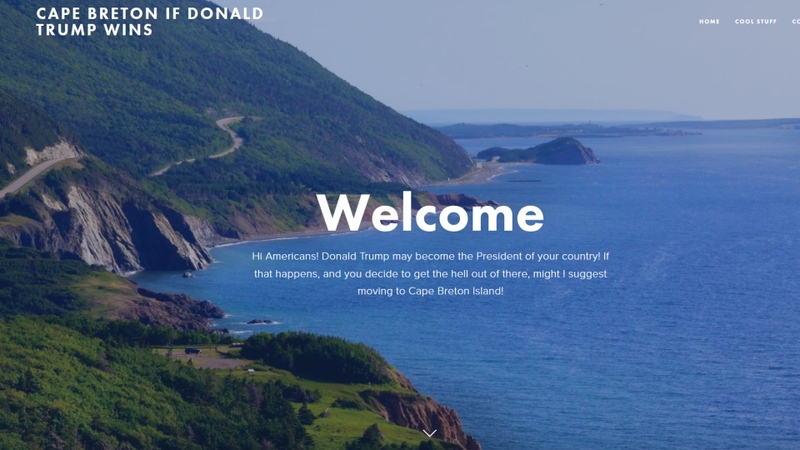 A website encouraging Americans to move to Cape Breton if Donald Trump becomes president is starting to get serious inquiries from U.S. residents.